The all new Nike FC Barcelona Away 2018-19 Stadium Jersey is made with lightweight Dri-FIT fabric that keeps you extremely dry and free to move for the full 90. The '18-'19 team looks to capture the La Liga championship with Messi, Coutinho, and Luis Suarez all returning. 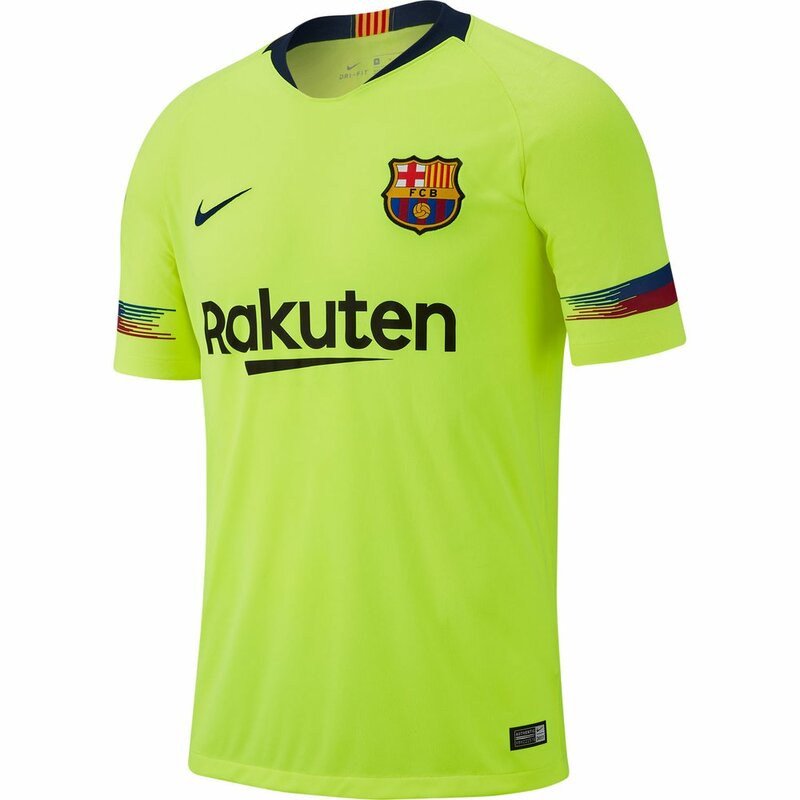 Also, FCB will have an all new sponsor on the front of the jersey, Rakuten. Show your Barcelona pride in volt!. Replica Jersey design is the same jersey players wear on the pitch. 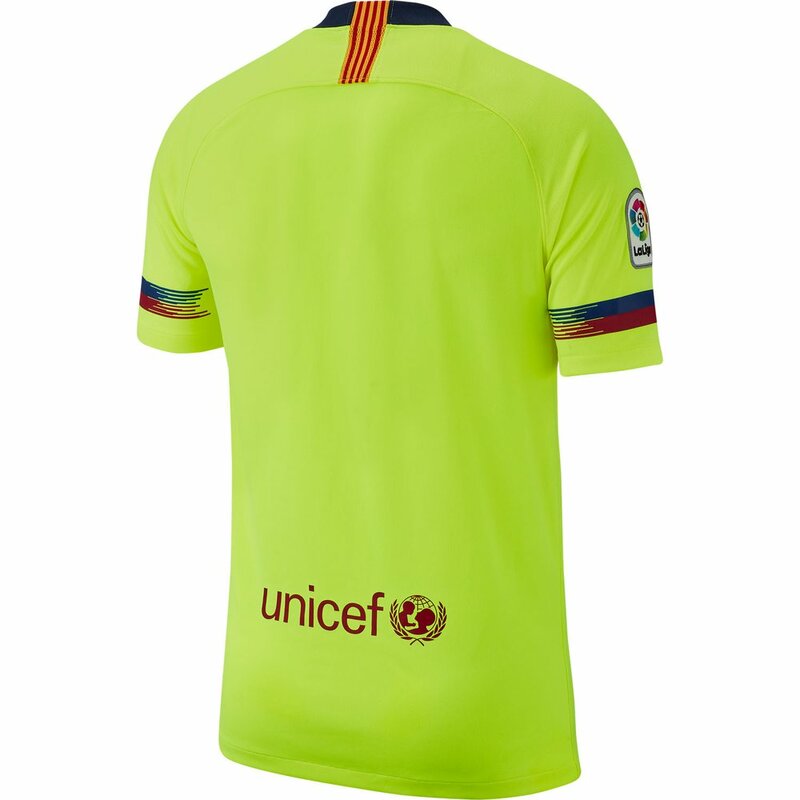 FC Barcelona crest is stitched on the left chest. 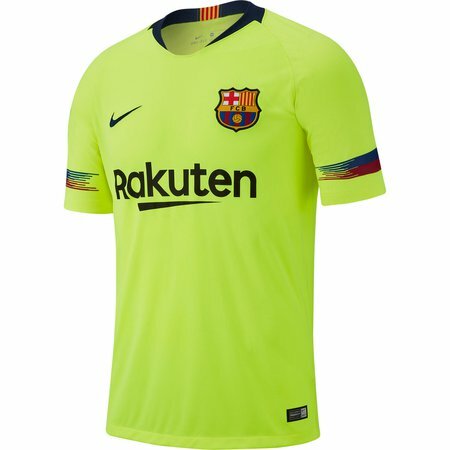 Nike FC Barcelona Away 2018-19 Stadium Jersey - Available at WeGotSoccer!